Forget A Cappuccino In The Morning – This Cheesecake’s Got You Covered! There are cheesecake purists out there who will strongly disagree with us on this, but we just came across a cheesecake that (in just one bite) became our new favorite…cappuccino cheesecake. If you like coffee/mocha-anything, this dessert is for you. 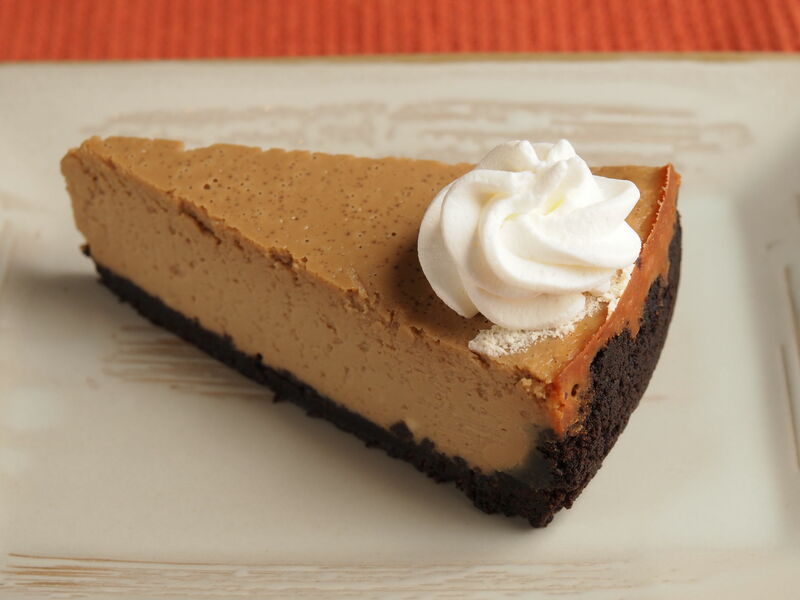 It’s creamy, with the classic cheesecake flavor we all know and love, just enhanced by the addition of espresso. If you’re sensitive to caffeine, you might want to start out by adding less espresso, but we are in love with it as is and excited for you to try it out! Take 2-3 layers of aluminum foil and tightly wrap the bottom and sides of a 9-inch springform pan. Place oreo cookies in the bowl of a food processor and blend until smooth. Slowly pour in melted butter and salt and blend until mixture is the consistency of wet sand, then pour out into pan. Use your hands to spread crust over the bottom and up the sides of the dish. Place crust in refrigerator to chill for at least 30 minutes before filling. Preheat oven to 350º F and boil a kettle of water. In a large bowl or mixer, beat cream cheese and sugar together until combined. One at a time, mix in eggs (waiting for each to be incorporated before adding the next), then mix in vanilla extract and espresso granules. Pour filling mixture into oreo crust and place springform pan in a large roasting pan. Place pan in oven and pour in boiling water, making sure it doesn’t go over the aluminum foil-wrapped cheesecake pan. Bake for 40-50 minutes, or until center is just set. Turn off oven and keep the door closed. Let cheesecake cool (inside the oven) for 1 hour, then carefully take cheesecake out of water bath and transfer to a wire rack. Once completely cool, refrigerate for at least 2 hours before serving.